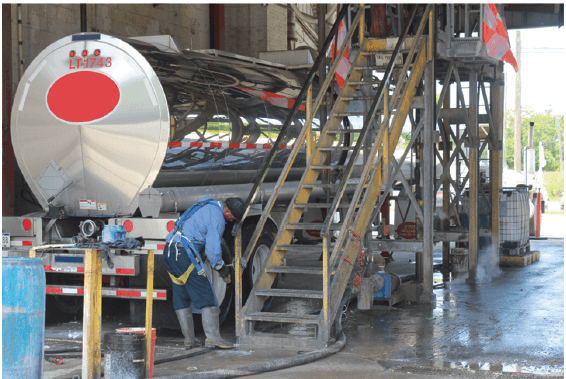 For many years, the standard cleaning method for tanker washes has involved the insertion of vertically-placed tank spinners through the center manways of trailers. While this method is common and widely accepted, rarely are the ends and bulkhead areas sufficiently clean enough to prevent cross-contamination. Fortunately, we have created a customer-driven solution for cleaning the typically difficult-to-reach bulkheads of any type or size OTR tankers: The Sidewinder. This device is a revolutionary, affordable accessory for achieving the most effective and efficient tanker, trailer, and railcar cleaning. 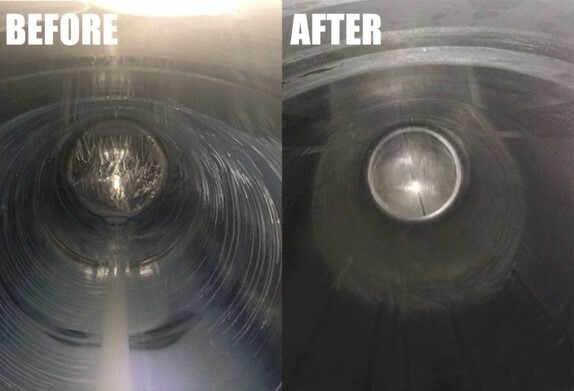 Enabling an Alfa Laval tank cleaning device to be placed on its side, it completely changes the nature of the nozzles’ orbit. Instead of creating an ellipse pattern across the tank wall, the Sidewinder enables the machine to form a figure-8 pattern sweeping the length of the tanker, increasing the number of hits to the bulkhead by 30 times, and cleaning the tanker in half the time. Coupled with an GJ 8 or GJ 4, which are designed to easily handle 20-30 ft. throw lengths, the Sidewinder enables your wash station to provide the most efficient and effective clean to every inch of the trailer.